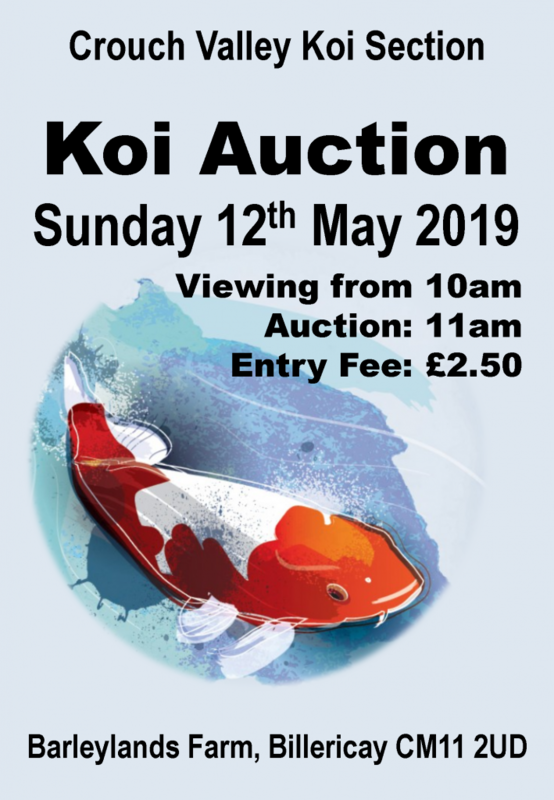 The Crouch Valley “Spring” Koi Auction is now going ahead with the same great deals on quality Koi. Date for this auction is 12th of May 2019 so please add it to your Calendar. Entrance fee is only £2.50 and it’s being held at the Barleylands Centre, Billericay,Essex. CM11 2UD.